There’s a lot of talk about this U.S. Senate race outcome also being a measure of the strength of the Tea Party in Texas’ primary elections. Another key endorsement coming? Texas State Senator, Dan Patrick, founder of the Tea Party caucus in the Texas Legislature, said on Thursday during the Texas Tribune coffee discussion that he may be making an announcement about who he’s supporting in this U.S. Senate race. Or he may not. Senator Patrick did say he believes Lt. Gov. David Dewhurst will win the Republican primary, but that was not an endorsement, just his belief. The Texas Sonogram law is now in full effect as of January 13, 2012, as ordered by the Fifth Circuit Court of Appeals. Yes, every abortion clinic and abortion doctor in Texas must follow this law, now. Any doctor seeking to perform an abortion on a woman in Texas must follow this law that protects women and makes it illegal for doctors to prevent a woman from seeing a sonogram image. During the legislative process, we heard so many women testify about how abortion clinic doctors would not let them see the sonogram image. 1. A woman must have the sonogram displayed so she can see it. 2. A woman must have a sonogram performed on her. 3. The baby’s heartbeat must be made audible so the woman can hear it. 4. A woman must be given a description of the sonogram image. 5. A woman must have a face to face meeting with the abortion doctor. 6. A woman must be given this information 24 hours before the abortion. If a doctor does not provide a woman with this information, the doctor faces civil penalties. Spread the word, and make sure every woman in Texas knows that she now has significant protections in the law when she goes into an abortion clinic. If you hear of any doctor or abortion clinic not following this law, please contact our office immediately at 512-478-2220. Thanks again to Texas Attorney General Greg Abbott and his outstanding staff! AUSTIN, Texas, January 10, 2012 – Today, Liberty Institute announced a major pro-life victory when the U.S. Court of Appeals for the Fifth Circuit declared constitutional the recently enacted Texas Sonogram Law, also known as HB 15. The Fifth Circuit’s decision overturned a controversial ruling by U.S. District Judge Sparks, which enjoined the Texas law co-authored by Senator Dan Patrick and Representative Sid Miller and was signed into law by Governor Rick Perry in May 2011. The law requires doctors and certified sonographers to perform a sonogram on women seeking an abortion at least 24 hours before the procedure. 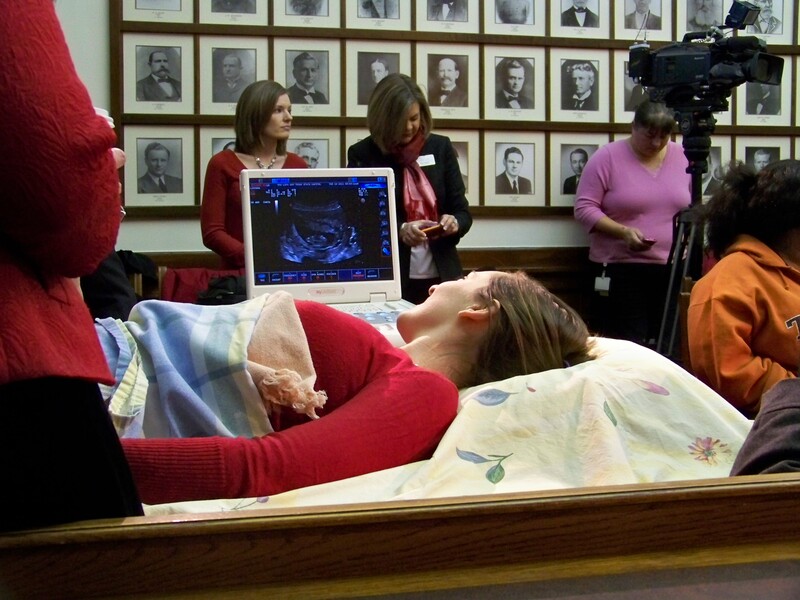 HB 15, which amends the 2003 Texas Woman’s Right to Know Act (“WRKA”), requires the physician “who is to perform an abortion” to perform and display a sonogram of the fetus, make audible the heart auscultation of the fetus for the woman to hear, as well as explain to her the results of each procedure and to wait 24 hours, in most cases, between these disclosures and performing the abortion. In August, on behalf of Senator Patrick and Representative Miller and in support of the law, Liberty Institute filed an amicus brief in the lawsuit seeking to strike down Texas’ new sonogram law (HB 15), which was originally scheduled to go into effect on September 1, 2011. Senator Patrick and Representative Miller were the authors of HB 15 in the Texas Senate and Texas House of Representatives, respectively. Liberty Institute argued that HB 15 is consistent with The Supreme Court and only requires the disclosure of truthful and accurate information to allow women to make informed decisions regarding their pregnancies. Read the Fifth Circuit Court’s Opinion here.